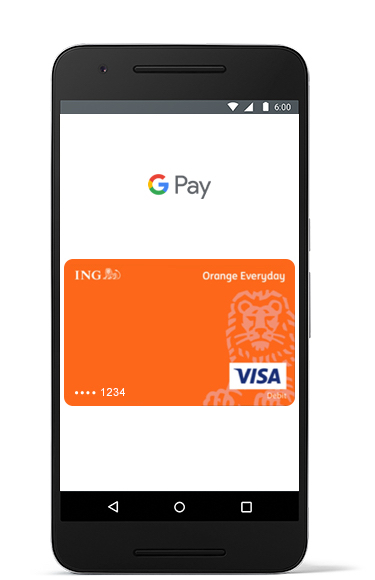 Google Pay™ is here with ING. 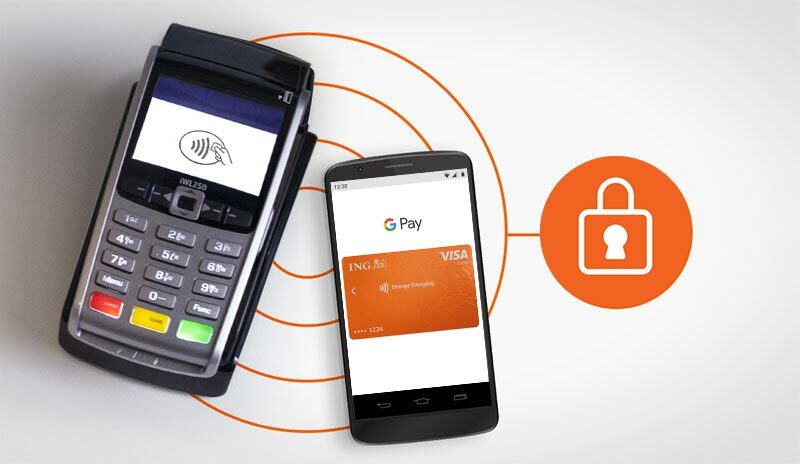 With ING and Google Pay you can use your phone to tap and pay for coffee, groceries, petrol or anything else when you're out and about. It's simple, secure and convenient. As an Orange Everyday account holder, simply go to the Google Play store to get started. Then download the Google Pay app, follow the instructions on how to upload your Orange Everyday debit card details, and start paying with your phone. Getting started takes no time at all and all you need is your phone, your Orange Everyday debit card, and a few minutes. It's highly secure, as your card details are not sent to the merchant. A virtual account number is sent instead - and your mobile doesn't store card details. You never leave your phone behind, and with Google Pay, it's all you need to shop - so forget the wallet and lighten the load. It only takes minutes to set up and once you're done, it lets you shop how you want wherever Google Pay is accepted. 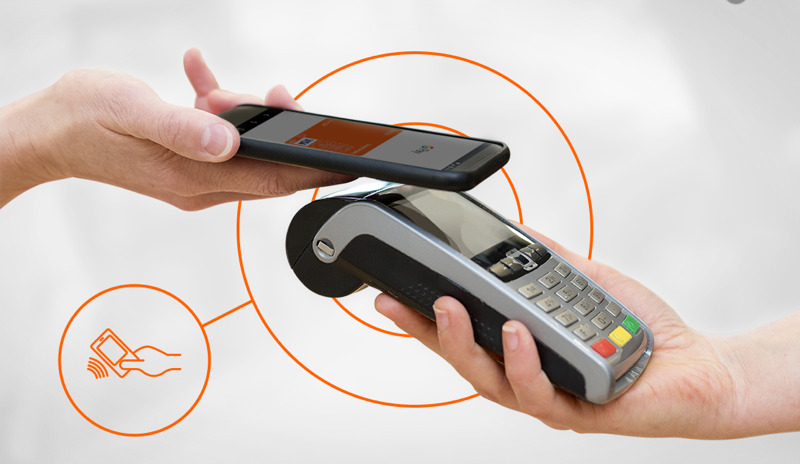 Scan your Orange Everyday debit card or manually enter your card number into the app. Verify your card via the ING banking app. Unlock your phone and tap it on the contactless terminal to pay. When you use Google Pay, it doesn't send your card number with your payment. A virtual account number is sent instead - and your mobile doesn't store card details - so you are always safe. As soon as you make a purchase, you'll see a payment confirmation in the Google Pay app that shows exactly where the transaction happened, along with the merchant's name. If your phone is lost or stolen, Android Device Manager can instantly lock your device from anywhere, secure it with a new password or even wipe it clean of your personal information. You can also call us 24/7. There will be no more fumbling through your handbag or wallet trying to find your card. Tap and pay is quick and easy, as all you need is your phone. Simply unlock your phone, place it near a contactless terminal and you’re good to go. Any advice on this webpage does not take into account your objectives, financial situation or needs and you should consider whether it is appropriate for you. Before making any decision in relation to Orange Everyday you should read the Orange Everyday Terms and Conditions booklet and Orange Everyday Fees and Limits Schedule. To view these documents you may need Adobe Acrobat. Orange Everyday is issued by ING Bank (Australia) Limited ABN 24 000 893 292 AFSL 229823. Android, Google Pay and Google Play are registered trademarks of Google LLC. The Google Pay Visa Debit Card Terms and Conditions for ING customers are available for your consideration in the Google Pay app.